We’ve been making a ton of felt flowers around here lately. 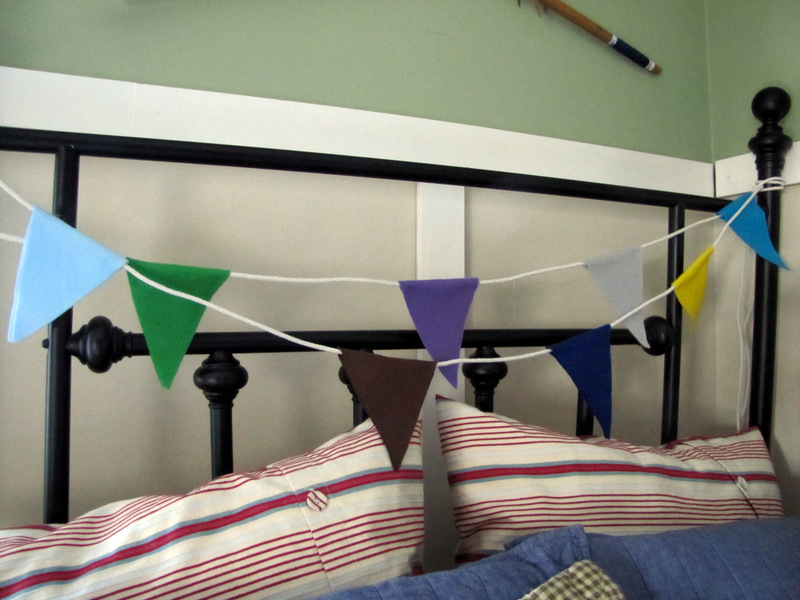 And I was feeling like I wanted to use some of these great felt colors in Jonas’s room. 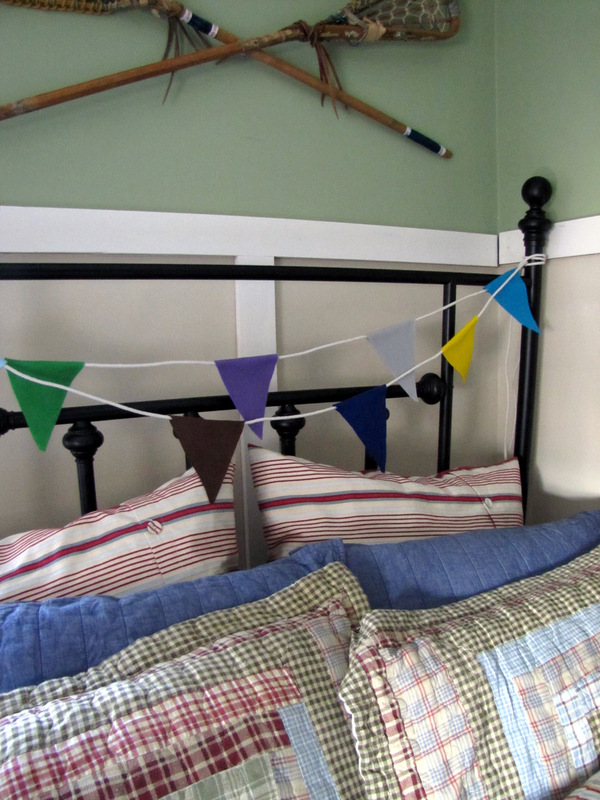 so these felts flags were a perfect accent for above his bed. (Oh and P.S. he told me “I hate those flags” right before he went to bed last night. it looks great, denise! i love the banner! HAHA!!! Ahhhh… boys. Well I LOVE the flag!! 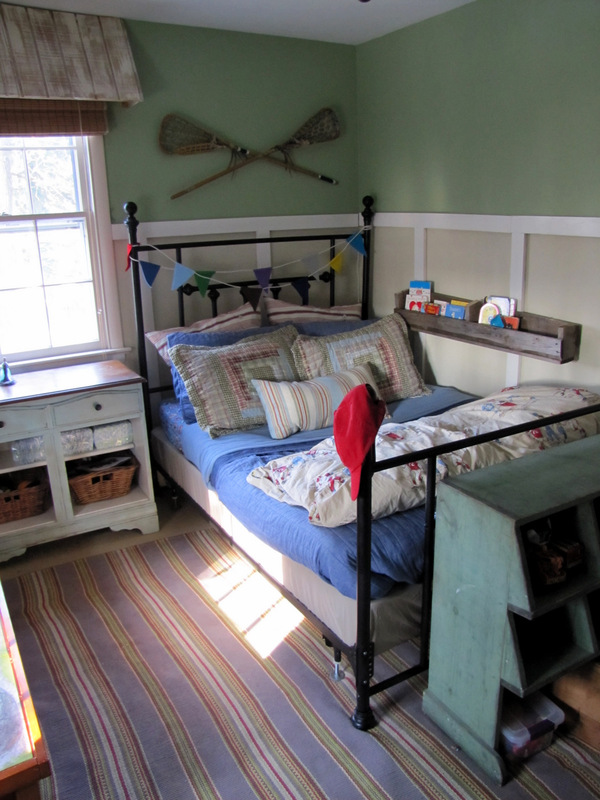 your son's bedroom looks like it came out of a PB magazine!! love it. and the banner just adds the right amount of color and pizazz, so fabulous!! I love the banner, but I had to laugh at your son. Too funny! 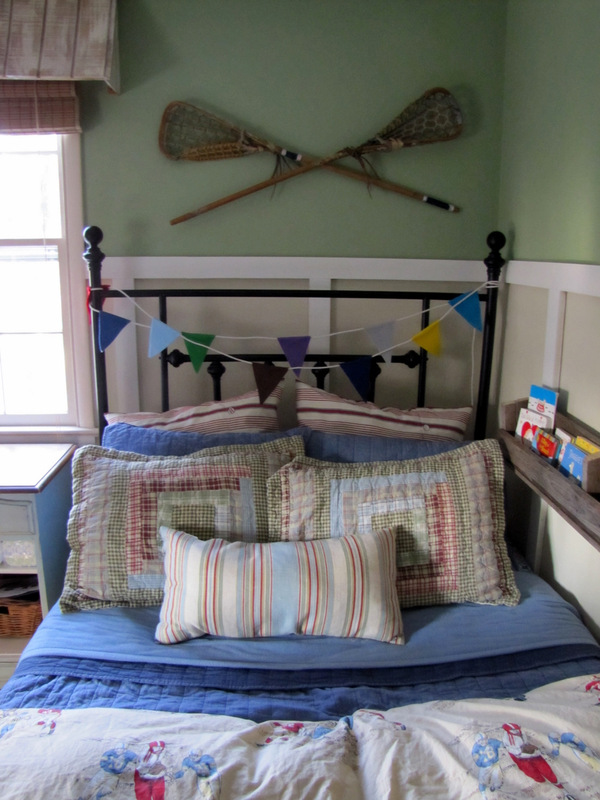 The banner looks awesome where you have it on the headboard. I love the colors – perfect for the room. Sounds just like something my little grandson would tell me…. Good job, Denise. I want to make one for my son's baseball team fellowship.